What Does Code P0299 Mean? When a P0299 code is exhibited in an OBD-II equipped vehicle, it indicates that the powertrain control module (PCM) has detected a turbocharger or supercharger low boost condition. This code may be caused by either a mechanical or an electrical malfunction in the forced air induction (FAI) system. Both the turbocharger and the supercharger are forced air induction systems that are used to increase engine performance. Ambient air is drawn into each type of device, which then compresses the air and forces it into the engine combustion chambers. The primary difference in the turbocharger and supercharger is the method in which they are driven. 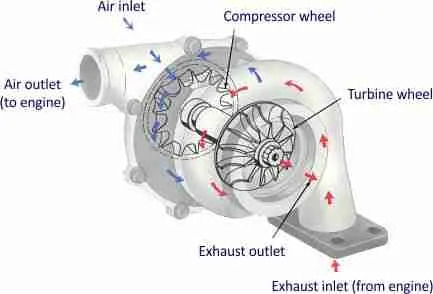 The turbocharger is driven by engine exhaust as it escapes the manifold. The supercharger is driven by a belt that runs off the engine crankshaft. FAI systems typically use some type of intercooler to make the air that is introduced to the engine even cooler and denser. The boost controller is sometimes a stand-alone module but more often it is an integrated part of the PCM. Input data from various engine and transmission sensors is used (by the controller) to determine how much boost pressure is required for the engine to perform at optimum levels. 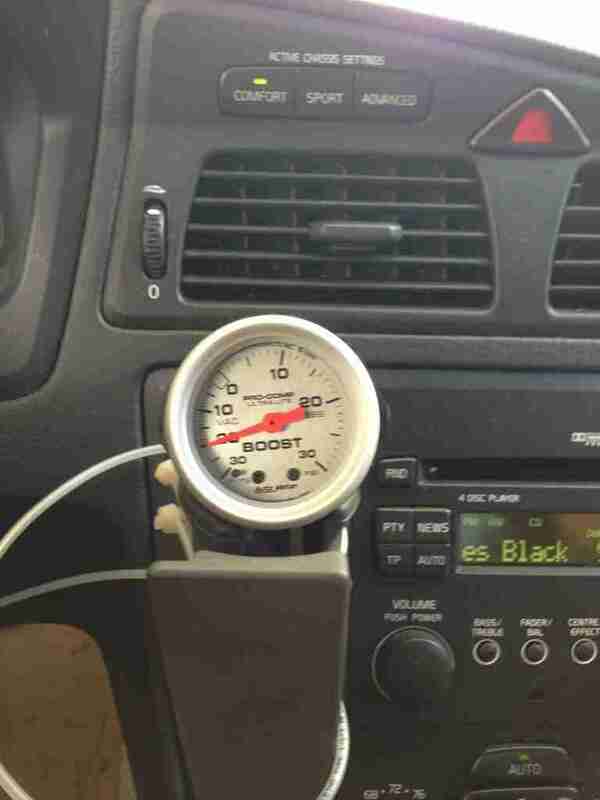 Actual boost pressure is then monitored to determine whether or not it meets desired levels. The PCM compares actual boost pressure with the desired boost pressure and initiates bypass control valves and/or blow-off valves as needed. Various bypass control valves and pressure relief valves are used to regulate boost pressure. Most are actuated with electronically but there are a few manufacturers that still use a vacuum operated design. Consult a reliable vehicle information source (such as All Data DIY) for forced air induction control system specifications (for your vehicle) prior to attempting a diagnosis. The engine drivability and engine lubrication system must be in good working order before attempting to diagnose this code. If the PCM detects a level of boost pressure that is lower than the programmed limit, a code P0299 will be stored and a malfunction indicator lamp (MIL) may be illuminated. What are the common causes of code P0299 ? What are the symptoms of code P0299 ? How do you troubleshoot code P0299 ? Typical modern automobile forced air induction systems are designed to to effect between nine and fourteen-pounds of boost pressure. The boost controller utilizes various bypass valves, wastegates, and blow-off valves to maintain the desired level of boost pressure. You will need a scanner, a digital volt/ohmmeter (DVOM), a reliable vehicle information source (like All Data DIY), and a manual boost pressure gauge to diagnose a code P0299. When attempting a diagnosis for this code, I begin with a thorough inspection of all wiring, turbocharger supply hoses, and vacuum hoses related to the turbocharger and boost control system. I would proceed by connecting the scanner to the vehicle diagnostic connector and retrieving all stored trouble codes. Write the codes down because you may need this information later. Now clear the codes and test drive the vehicle if possible. If the code is immediately reset, perform a manual boost pressure test and compare your actual findings with manufacturer’s specifications. If actual boost pressure fails to meet minimum requirements, suspect mechanical failure and repair the turbocharger/supercharger unit. If boost pressure meets manufacturer’s recommendations, suspect a defective boost pressure sensor, bypass control solenoid, PCM, or a PCM programming error. The DVOM may be used to test the boost pressure sensor and system circuits as needed. The code has come up on our Mazda 6 can you still drive this without damaging the car as we cannot get into a dealer for another 3 weeks? As long as there are no other (more severe) symptoms exhibited, you should be alright. No way to say for sure though.